Last modified on June 25th, 2014 by Joe. 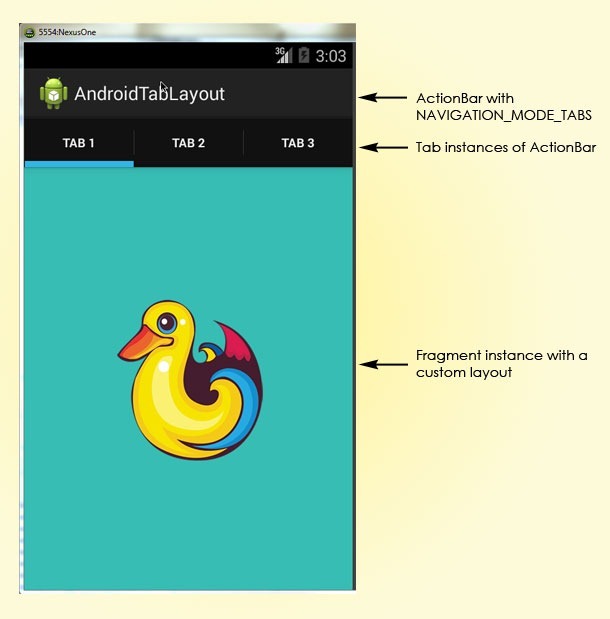 This Android tutorial is to walk you through learning tab view in Android. We will be using Fragment to display Tabs in an Android activity. TabActivity class is deprecated and it should not be used going forward. It is a simple and straight forward Android app. 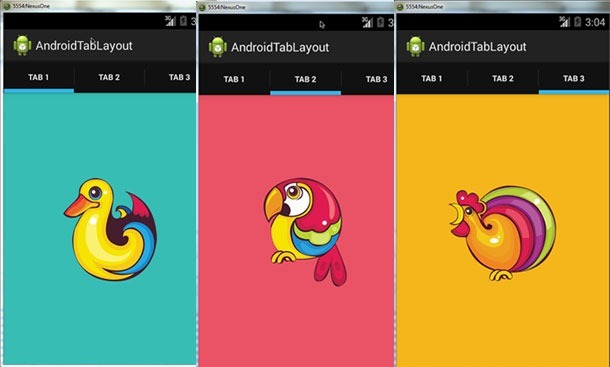 We will create an Android app with three tabs. Set the ActionBar navigation mode to ActionBar.NAVIGATION_MODE_TABS. Get Tab instances from ActionBar. Let the Activity implement TabListener and set it to the Tab instance. Create a custom Fragment class along with a custom layout. onTabSelected, instantiate the custom Fragment instance and replace the content. You can download the complete project source using the link given below. Comments on "Android Tab Layout Tutorial"
What should we do for dynamic tabs? Bon tutoriel. ça m’a aidé beaucoup. Comments are closed for "Android Tab Layout Tutorial".